This room has two versions of a chair with an x-shaped base.. The chair in the foreground is usually called a curule chair and the stool/chair in the rear, a Savonarola chair, but both are in the same family. What is the difference between Curule, Savonarola and Dante seats? 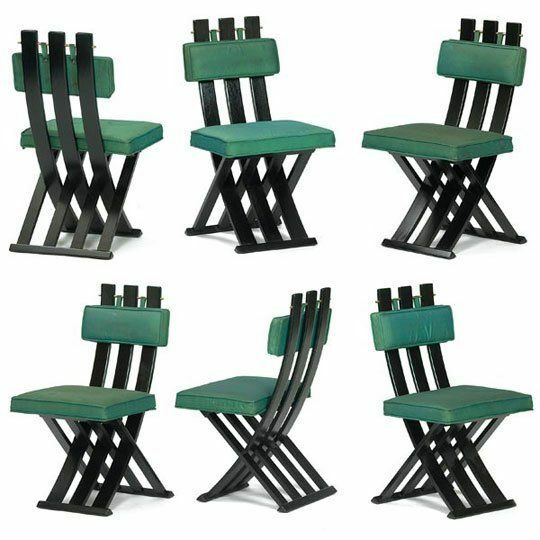 Curule, savonarola and dante seats are all variations of a chair, stool or bench with an x-shaped base. 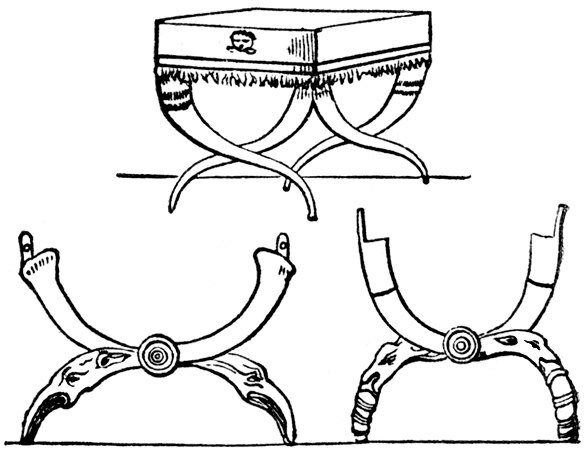 A curule seat is the oldest variation. Think, throne. The highest dignitaries sat on it back in Ancient Rome in the 6th century B.C. 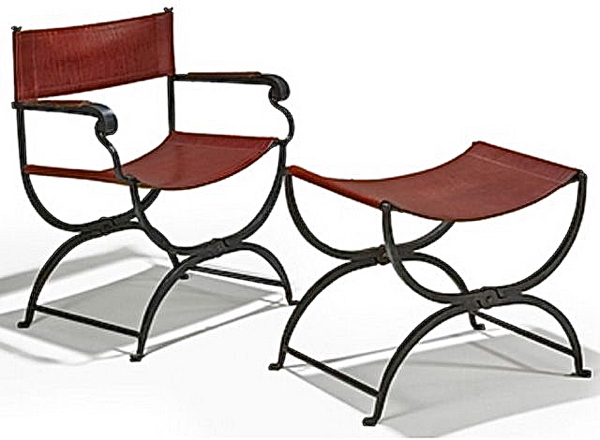 “Curule” is derived from the latin term for chariot, “currus.” The seat’s legs are joined in the middle like an X. Typically, the legs curve upward in a U shape and downward in an inverted U shape. Sometimes the legs curve outward creating legs with a wavy-X shape. 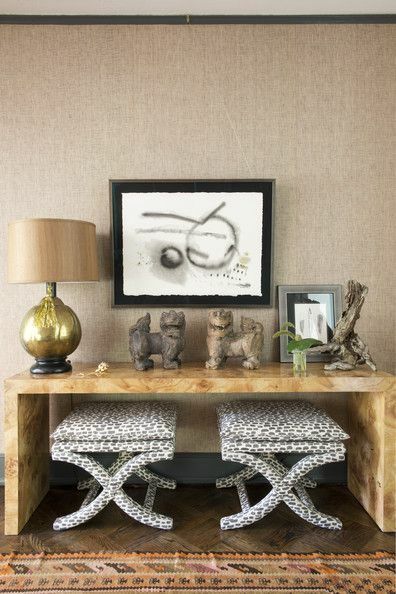 Brooke Shields has a chic curule stool in her home (don’t miss those Hunt Slonem bunnies). Brooke Shields’ chic home with curule stool at right. And take a look at a set of stools of the wavy-x variety in my friend Tami’s house. I have shown this picture before because Tami has a beautiful burl console. Dang! That gal has great taste! 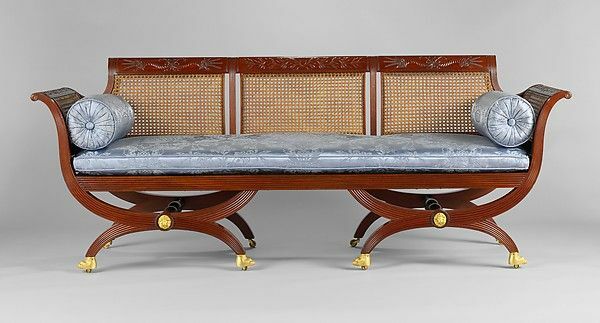 In the early 1800’s, American furniture maker Duncan Phyfe created an innovative variation of the curule chair. He designed a version that placed the x-shape in profile as opposed to the front of the chair. He also designed settees using U-shaped legs. Side chair with ‘Curule’ (X-shaped) base, attributed to Duncan Phyfe (1768–1854), New York City, 1815–1830. Today, many designers refer to any stool or chair with an x-shaped base (curvy, wavy or not) as a curule stool. Savonarola and Dante are synonyms for a chair that developed during the Italian Renaissance. Although the chair appeared in the 15th century, it did not get its name until the 19th century. At that time, furniture dealers dubbed the chairs “Savonarola” or “Dante” after those important historical figures. Like a curule chair, its legs form an x-shape, but here the base extends to the arms. Others developed without the slats, and did not fold. Both types of chairs were often adorned with textiles. Harvey Probber’s version of the Savonarola chair from the middle of the last century. Photo credits: Line drawing of curule stool. I will update if notified. Curule chair and stool, about home. Curule chair in Wearstler fabric Tami Ramsay’s stools from Lonny Duncan Phyfe chair. Duncan Phyfe settee. Savonarola chair open and closed, from Etsy. Dante chair with textiles. Harvey Probber chair. 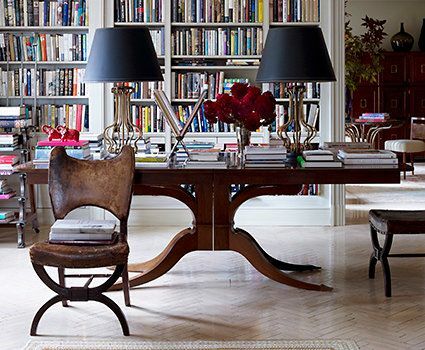 According to google image search the table, chair and bookcase is an Anna Wintour interior. Canopy bed and bone stools. iron stools Last image source unknown-I found it on Pinterest.